When it comes to network security, you need a plan. As a technology services provider, we’ve been focusing less on specific configurations, and more on policies, procedures and standards. While we continue to implement technical configurations to support these documents, we now begin our security discussions at a much higher level. Once we have a better understanding of business security objectives, then we dig into the details when creating security policies, procedures and standards. We know that your primary business objective is not information security. For this reason, your IT security must enable secure business operation AND be cost effective. If these needs aren’t satisfied, there will be frustrations amongst management, employees and possibly customers. According to FRSecure, when information security is done right, it can be fun – for you and your IT wizards. Securing your information can be productive and provide benefits to your operations, if done right. 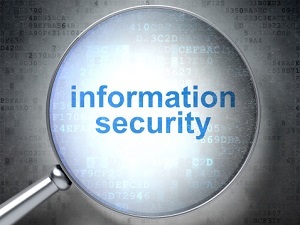 Whether intentional or accidental, people create the biggest threats to information security. This is why policies, procedures and standards are so important. These documents don’t do anything to manage the risk of the technology. Rather, they create boundaries and guidelines for the people operating within your firewalls. Being compliant means establishing measures that allow you to conform to rules or guidelines, most often set by legal entities. Security may include compliance, but it isn’t restricted to that alone. In fact, security extends far beyond conformity, by managing the risks surrounding your data. If all it took was common sense for information security to be effective, all businesses would have a solution that better meets their needs and wants. IT security is too complex for common sense alone; a more comprehensive approach is needed to develop a security solution that is right for your business. What is secure for one business may not be secure enough for the next. Our network security services believe that as each business is unique, so are their definitions of security. To re-emphasize the importance of principle #1, this principle amplifies the significance IT security should have on your business. Not only should it be cost-effective and enable productivity, but it should support your business’s success. When developing your security foundation, we’ll consider the security benefits your organization should realize when your policies and procedures are implemented. Because each business has unique needs and definitions of security, plus compliance requirements, each solution will be unique. Custom security solutions are the only way to mitigate risks and protect your information. Easy solutions most often sacrifice effectiveness, which is something that you shouldn’t take lightly when it comes to information security. Put forth the effort now to save yourself loss and frustrations in the future. If you are looking for a solution to assess and address IT threats for your organization, request a Business IT assessment.